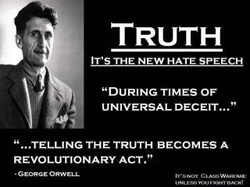 A historical nonfiction:"the TRUTH is on the WALLS"
The Orwellian quote may seem like a strange one for this blog; if I feel it is after today's posting, I will retract the black and white poster quote and find something more suitable. I am one of the Co-Authors of the historical nonfiction (categorized under the ISBN number as a Biography) "the TRUTH is on the WALLS." Either classification works for me; however, it is not a "novel" as recently described by a South African. The biography specifically focuses on women because, worldwide, people continue to ask for more stories about them principally because we had so few for thousands of years. (From where I sit, the loudest cry comes from the film industry.) Within the international community there are specific countries that are more misogynistic than others; consequently, the focus is an unavoidable necessity for the sake of women who come after those who blazed a trail for them to follow. 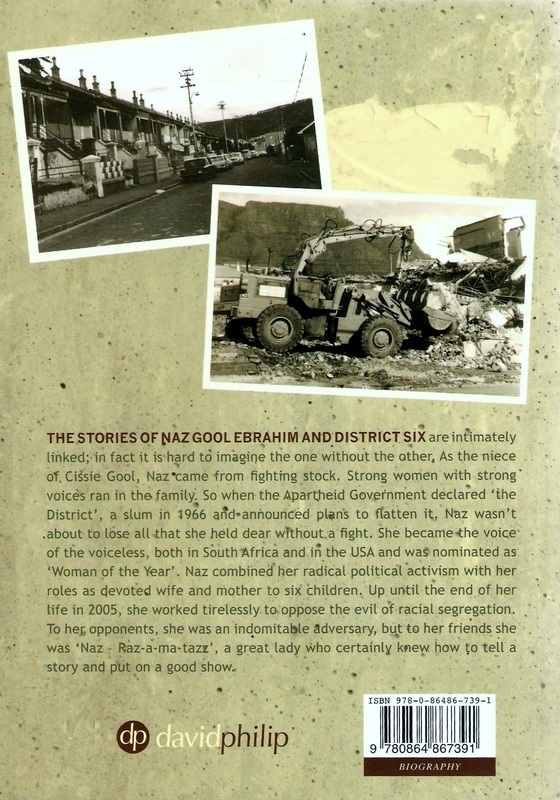 Notably, "the TRUTH is on the WALLS" reveals that one historical figure (Author Naz Gool Ebrahim) was in touch with her own spirit at a very early age while the other (Cissie Gool) knew exactly who she was no later than the age of thirty. Their actions were heartfelt and without consideration for monetary gain. This is not a book about women who claw their way up the corporate ladder for a six-figure salary or who will do anything to gain some sort of recognition. This is a story about authentic women whose lives also mattered because they helped so many while in the process of struggling against oppressive political regimes. As friends and relatives, their motives and priorities were different while their similarities included honesty and directness: both publicly stated the truth under the British and apartheid regimes, which was a "revolutionary act" until apartheid was dismantled. I have told the following story many times. Hopefully, with this writing it will be a bit more comprehensive in the re-telling. I was introduced to Naz on the first night she was in San Francisco because my good friend, Nancy, hosted her for an event that Nancy organized in 1988. I met both of them for a delicious fish dinner at Ghiradelli Square. Throughout the meal Naz discussed her Aunt Cissie as though we knew who she was. We didn't. Nothing unusual. At the time, few of us in America had the full story concerning South African political figures and the country itself. After the National Party gained power in 1948, South Africa became increasingly isolated from the world. Nevertheless, in an effort to provide some understanding of her stories about Cissie, Naz said, "read my book." We didn't know what she was talking about so I stated, "I'll read your book." I discovered it was not published and asked Naz if she wanted me to provide criticism of her work. When Naz left us in San Francisco she provided me with a blue binder filled, in part, with histories of progressive (and not so progressive) South African men (before and during her lifetime) as well as some mention of a few South African women -- not many; perhaps three or four, if that. What I didn't read was shattering. There was next-to-nothing about her Aunt Cissie and, worse, there was nothing about Naz in all of her stories. In other words, not one story included Naz. From her San Francisco visit and writings, I knew she had formed the District Six Rents, Residents' and Ratepayers' Association to struggle against forcible removals in District Six, but that alone did not encapsulate her powerful and authentic voice. I told her as much and that's where the story began again in 1988, ten years after Naz started to research and write -- a fact which I discovered in 2010. Naz returned to San Francisco, staying with me for a few weeks while I completed an oral history on her in addition to recording her stories about Cissie Gool. Remembering that it was apartheid South Africa in 1988, Naz definitely shouldered paranoia; her fears were well founded as I quickly discovered when Naz returned to South Africa. Without doubt, my phone was tapped after Naz left the states, and I could fill up a page with those recollections. We were also telephonically disconnected a few times, but the craziest phone call occurred when an unknown person clicked into the line when we were talking. From her end, Naz inquired, "Is anybody there?" A voice told us "yes;" he was "...checking the line for the post office" and then he too disconnected us. I promptly returned my own call. The point here is that Naz was reluctant to discuss Cissie on paper as Cissie was obviously associated with the Communist Party. She lived with the Communist, Sam Kahn (an amazing human being), for fifteen years. This wasn't anything new for the people who lived in the Cape Province, but outside of her own frame of reference Naz reverted to whisper mode, showing concern that my Nob Hill apartment might be bugged. She definitely felt like the walls had ears. Indeed, she may have been correct. No one was more anti-Communist than the U.S. government -- something apartheid supporters understood quite well. Nonetheless, ears or not I got the oral story without watering down their lives with distractions. This is not a story about Cissie's well-known father who was larger than life or about the historical figures who played a meaningful part in her political and personal journey; nor is it a story that includes so many of the infamous and committed District Six personalities. This is the story about two courageous women who unwittingly moved to center stage of the political arena before fully understanding the wide support they would receive -- like a singer who rises simply to sing, without staging the grand effects of an event. Both Naz and Cissie were lost to history at one point though Cissie regained some recognition when the apartheid regime was visibly dismantled. Naz, on the other hand, was completely lost to history; vanished, without a thought that her life mattered after all of her efforts in the community to include her courageous and isolated position within the educational system -- for many years. The latter facts are a good reason not to water down their personal histories with any distractions. There are so many wonderful stories out there -- write them down so others have a choice. Petty criticisms don't really stand the test of time, because actions speak to ideas and I have not noticed that ideas can be killed with any kind of weapon. In memory of Cissie Gool and Naz Gool Ebrahim. Today I had lunch with a lovely Facebook friend and her two granddaughters. We had not met face-to-face since becoming Facebook friends a few months ago. She lives in San Bruno, an easy 35-minute drive for me; she is originally from Cape Town, South Africa, but has lived in the U.S. for 30 years. 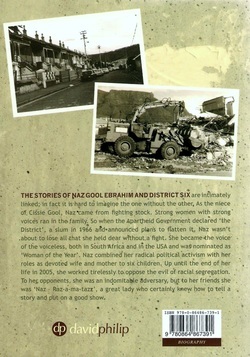 Her family experienced the forced removals in District Six; there are no coincidences. We met at the Tanforan Shopping Center to have lunch at BJ's. 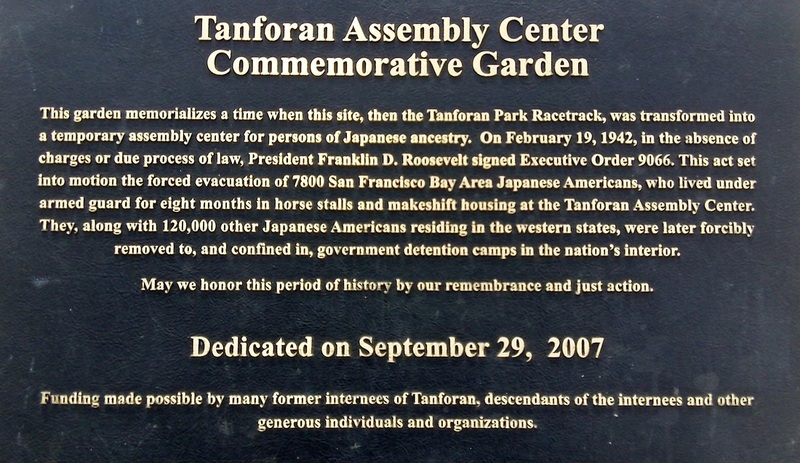 Tanforan was a famous race track in Northern California so it is no surprise that there is a beautiful sculpture of Seabiscuit, still my favorite race horse (see below). I stated I would write in the Blog every Friday, but March 30 is my birthday. This week is going to be a bit busy; hence, an early post. Left: "The Valley Awakes," a fiction by Yousuf Rassool. Cover by: Reza Rassool. On March 25, 2012, I had an interesting conversation with one of Naz's relatives; in part, we briefly discussed the political in-fighting within the community that Cissie Gool once served and represented in Cape Town. I won't cover that strife here, but will include a piece written by the late Joe (Yousuf) Rassool addressing the matter at: http://www.cix.co.uk/~jplant/revhist/supplem/rassool.htm. It's an important issue that continues to haunt people around the world in one form or another, not only in South Africa. We omitted historical details of in-fighting in “the TRUTH is on the WALLS,” because others have written skillfully about the issue; there is no point in repeating anything that has been addressed by thoughtful people – either here or in the hereafter. Rewriting history in South Africa most likely will continue for the next 100 years – something more exciting than opportunism. (The last sentence is my view: a good one that works well for me personally.) In the case of Yousuf "Joe" Rassool, his son is ensuring that Mr. Rassool's last book is updated/published and/or made public in various forms; thus, historical figures are still contributing, acting as our guides, in the hereafter. It is one of the reasons I enjoyed Elise Peeples' novel “Strands” where ancestors fly in on Ireland's wind and rain with answers to serious issues that deeply affected four generations of women. We need to listen to them. After all, some of our ancestors know the secrets. Understanding the past is essential for the present and in particular for the future -- if the future is to be made better. I realize life will go on without all of us, and many in the younger generation have their own good ideas, but many don't. When opportunism rules absolutely around the world, we have all lost. If we don't understand our past the wheel will continue to reinvent itself regardless of who is in charge of a school system, religious instruction, corporation or country, etc. 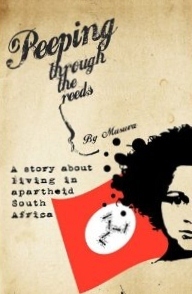 other insightful assessments), due to apartheid, read Musuva's “Peeping through the reeds.” http://www.amazon.com/Peeping-Through-Reeds-living-apartheid/dp/145202877X/ref=sr_1_1?ie=UTF8&qid=1332811156&sr=8-1. When I began to work with Naz in 1988 my major focus for the oral history was to make certain two women of color were not deleted from South African history. I had no idea what was in front of me. Previously, I have expressed that little information (by my standards) was available about Cissie; however, there were probably hundreds of local newspaper articles written about her. Some interviews were completed whereby Cissie was viewed principally through the eyes of men. With the dissolution of apartheid, the latter fact changed and Cissie gained the recognition she had deserved for decades. In approximately 2008 (or before), Nadia Davids wrote "Cissie: the playscript." http://www.oxford.co.za/business/news/935812.htm. Yet, Naz fell through history's cracks except for some recognition at the District Six Museum. When trying to locate Naz anywhere on the internet, absolutely nothing appeared to include her obituary. It was as though she had fallen into a gray, foggy hole. She was invisible, evaporated into the ether, gone as though she had never existed. I felt like I was looking into a “Cold Case” file. I later learned in 2011 that one woman wrote a beautiful tribute to her that was published in one of Cape Town's newspapers, but the tribute was not on the net. The honesty is in the details and it was the honesty Naz tried to find. I'm not saying Naz was perfect. Nor do I want to make her more in death than she was in life, but two screaming facts stand out about Naz and Cissie: the gains they received had a soul quality; there were no financial rewards. And, here, I must correct history. Cissie Gool was not mentored by Gandhi. If she was mentored by anyone, aside from her mother, it was Sarojini Naidu. Dr. Abdurahman, Cissie's larger-than-life father. I believe Gandhi frequented Yusuf Gool's home regularly when Gandhi was not in prison. (Yusuf was Naz's grandfather.) Naz was quite entertained by her family's connection with Gandhi, and I smiled every time she said, “Do you believe it?” in her beautiful South African accent. Cissie was definitely exposed to Gandhi as well as others like Olive Schreiner and Tagore, but she was not mentored by him. Gandhi left South Africa when Cissie was 17, and I certainly never heard Naz say Cissie frequented Gandhi in prison, which is where he spent a great deal of time under Smuts. Try to remember what it was like to be a teenager. Despite privilege, prestige and serious traits, teenagers are unto themselves around the world. 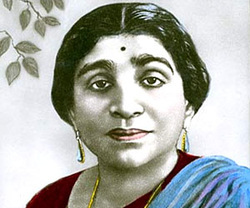 Naz was quite emphatic in her belief that Sarojini Naidu was a mentor for Cissie, which makes perfect sense because Cissie was far ahead of her time, preferring women authority figures over men. I cannot help but believe the latter fact irritated many in a generally male-dominated society. Cissie's first impressive march that she led to Parliament and singular appearance, without her father, was in 1930 -- six years after Sarojini was a guest in her home: one she shared with her husband Dr. A H Gool who was the son of Yusuf Gool. Cissie was 33 years old in 1930. If there is contradictory information out there regarding some of these stated facts, I have not read them, nor did Naz know about them. But that's why we are here: to share/correct history to the best of our ability because for so many years South Africa's majority (people of color) were excluded from history -- purposely. When it comes to mentoring, one only has to read about Sarojini to see where Cissie found her inspiration. Cape Town Mural of South African leaders: Left to right: Nelson Mandela, Steve Biko, Cissie Gool and Imam Haron. Forcible removals in South Africa v. forced bank foreclosures in the U.S. The black and white of people moving on with their lives in District Six, Cape Town, South Africa. Generally, it has taken 31 years to move on after the apartheid government, under the Group Areas Act, forcibly removed about 60,0000 people in District Six alone. People were bulldozed from their homes, over a 15-year period, their belongings thrown into the street without any warning. Above photo taken February 2012. 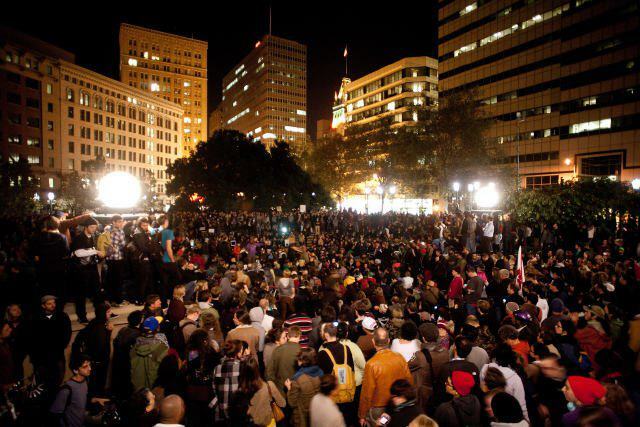 Americans in Oakland and San Francisco protesting Wall Street greed, 2011. In December 2010 I wrote a comparison paper regarding South Africa's former apartheid regime and our Wall Street bankers, et al., in the U.S. I realize greed mongers live elsewhere too, but my country is the United States and I am going to write about corporate, banking behavior because what we do in the U.S. negatively affects most of the world. up by the country's minority. By solid appearances, the skewed ideas of South African Divine Righters now belong to Wall Street's greedy bankers, some lobbyists and self-serving politicians. At about the end of 2010, banks and their buddies had forcibly removed 332,172 U.S. citizens with more plans to forcibly remove eight to nine million more people in the next four years at a cost of $702 billion. Eight to nine million people exceeds even the former Nazi government in South Africa. At this point, one has to recognize, once again, the Wall Street bailout of $4.7 trillion. Why do Wall Street, the greedy bankers, and self-serving politicians behave in this unconscionable manner? They think they have a Divine Right to accumulate even more than they have conned already, which is mind-boggling. Most of us can't even comprehend the kind of money they have stolen from others. 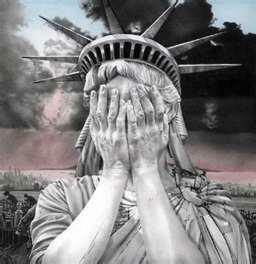 Like South Africa, the very fabric of people's lives in the U.S. have been torn apart for, at minimum, a few years now; some may never fully recover from the losses, disbelief and grief that have been brought upon them by the greed. Wall Street bankers and self-serving politicians have beaten down all levels of society so much that the majority of the 99% has nothing left in order to struggle to save their families or a single individual. One man in Nevada indicates his state is a “recourse state.” This means if one has a foreclosure in Nevada, banks will come after a person for the difference on the house loan, making it even more difficult to recover from the mess that was created. If the same family that had a foreclosure in Nevada could buy again, then they would have two house payments, making it impossible to ever recover in their lifetimes. The latter is not the only catastrophe in Nevada. 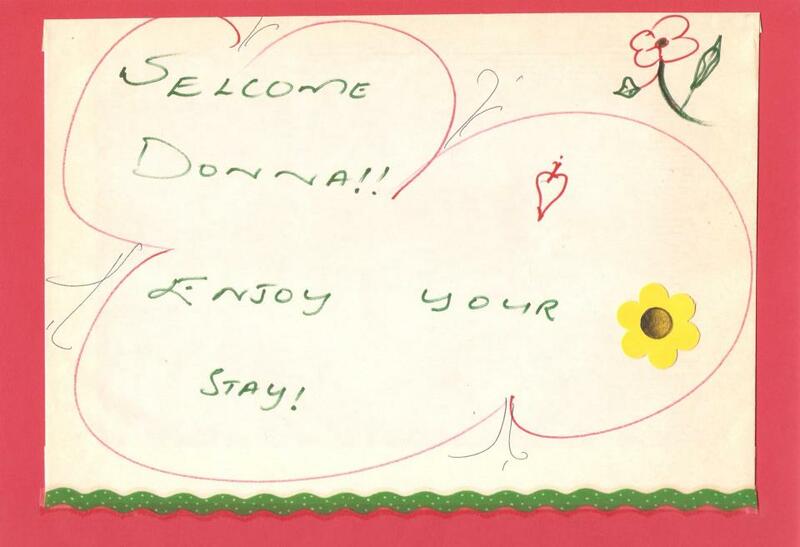 For awhile, some Las Vegas banks did not provide Notes to anyone who requested them. conservative about money matters. They had great credit, no credit card debt, and managed to save money in the event of a crisis. When they went to Wells Fargo Bank, it denied them. The bankers told them to “short sale” their home instead. It became clear to the couple that Wells Fargo wanted them to go into foreclosure. Apparently, the money President Obama authorized for loan modifications has not gone to loan mods. It goes to the banks to cash out on huge insurance policies when someone does foreclose. The banks, once again, aren't losing money. They are making money off of the misfortune of others, sanctioned by our own government. This is my question: WHY AREN'T THESE GUYS IN JAIL? When the Las Vegas couple closed escrow on their home a few years ago, the Bank Note was with Provident Funding Associates. Later, Provident sold out their loan to HSBC Bank USA, National Association as Trustee for Wells Fargo Asset Securities Corporation. HSBC never provided them with the Note that it now held. In fact, the Note vanished into a grey, foggy hole that no one can locate. At the end of 2010, the Clark County Recorder's Office showed nothing about the Title Holder on its site. So, here's how it goes: Wells Fargo didn't know where the Note was though it had been hounding the couple five times a day since July, despite the couple's ultimate references to the non-profit organization that was supposed to be helping them. Worse, Clark County didn't seem to know that the property existed at all. FYI: Clark County is in Las Vegas and Nevada is the state Senator Harry Reid represents -- our Senate Majority Leader. Citywide, thousands march in Las Vegas protest, 2011.
lawsuit for fraud. Then they did something: they ran like all Divine Righters and cowards. However, Consumer Advocacy hung onto the couple's loan modification paperwork. (Much later, the couple learned the woman who was in charge of Consumer Advocacy Group at the time they approached the organization had fraud charges pressed against her in some other state, so she came to Nevada to prey on more people who had pinned their hopes on someone actually helping them.) The Las Vegas couple wasn't trying to run away from any responsibility. They were trying to take it as surely as Wells Fargo, HSBC and CAG ran like the thugs they are. Protestors in front of New York, New York in Las Vegas. Marchers were everywhere. metaphorical big bang. This is our Divine Right to destroy families and communities – exactly something the National Party in South Africa would have said. Returning to my comparison – how is our present system of greed and entitlement (aka Divine Right) in the United States any different than the former Nazi government in South Africa who forced millions of people from their homes, destroying their souls. It isn't. However, now we have our own divine intervention. They may not be kids doing the toyi-toyi, but they are dancing to the beat of a different drummer that represents the 99% and they are called OCCUPY. 12/23/2011 Addendum: Now Provident has decided to sue a Nevada couple for doing what our government, a nonprofit and other corporations told them to do. I'm supposed to be putting good vibes out into the Universe, but PROVIDENT -- I HOPE SOME OF YOU GO TO PRISON WHERE YOU BELONG. A lawsuit against THIS couple will never be won by PROVIDENT or any other heartless corporation or greedy banker(s). Their experiences represent the experience of thousands and thousands of decent Americans which even the mainstream media is reporting now. ruining and devastating lives just like apartheid did for 43 years. Protesting near Oakland's Lake Merritt area. Oakland protestors-- the group that shut down the fifth busiest container port in the United States. and daughters of courage and tenacity. that never did include you. they break the stem to see its blood. Alex Lawrence Photography. I believe this is February 11, 2012 -- for a ceremony involving a Memorial Park for District Six. 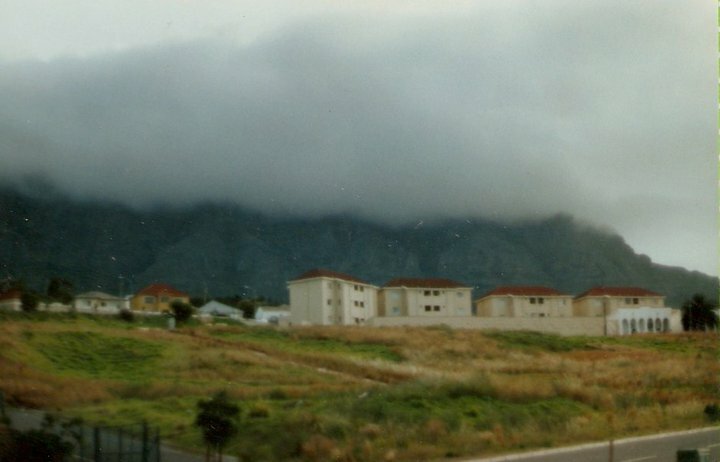 Alex has a particular way of processing his photos from time to time but for some of us it looks like the spirits of District Six are present, and that's the way I choose to see this lovely picture. Always in my mind's eye are Naz's words about her Aunt Cissie... "...and where are you our own Joan of Arc whose spirit dwells among the ruins." And, so does yours, Naz, along with spirits of many others. This Blog is for all of you, remembering... and remembering those who have lost their homes and communities around the world for one reason or another: due to war, greed, insanity, perhaps Mother Nature. It's just that there is no good reason for loss when it is because of war, greed and insanity -- like the belief in a divine right. My prayer is that people will not continue to become what was once the law in South Africa. The above photo was taken at Liliesleaf in Rivonia, South Africa, August 2011 by Donna Brenneis. Mandela was arrested here before imprisonment on Robben Island. A bit of digression from the Blog's themes. My Blog today has nothing to do with themes I set up for myself and it's not Friday night; yet, I am going to stretch a bit because I have wanted to write about or create a poem for the fascinating Thaga birds I followed around in Botswana: they are everywhere. (See above photo; I don't remember them being any larger than the picture reveals.) They are small with unusually large voices. I love them as much as our California humming birds. More because, believe it or not, our humming birds can be mean; a surprise to me. Anyway, I'll simply think about some of the Thagas as tiny, female birds in history so I can try and honor one of my own themes: “women in history” – forgotten women in fact. The truth is I loved all Thaga birds. They sing in the trees (see above for one of Botswana's blooming trees during its winter) like all of our birds in Alameda. (Though I never heard squawking crows in Botswana.) While the Thagas sing in the morning, they are a monstrously loud chorus at night, singing far past 10 pm. I don't know when they stop singing because I fell asleep to their thunderous chorus every night. It is as though these tiny birds gather their little yellow community to sing about their glorious day. They are thrilled to be alive, and I loved their chorus every single evening that I think starts around 6 pm. I set out to see what Thagas do during Botswana's hot, sunny hours. They are busy all day, going from tree to tree to collect materials in order to build nests that look like the size of a medium-size ostrich egg. The male Thaga builds the nest. If the female doesn't like the nest, she tears it down and he has to start all over. When it rains, the female Thaga makes the male sleep outside; she also makes him sleep outside at night. This arrangement actually works, and that's what fascinated me more than anything. He keeps her happy and he builds her a beautiful home that she likes. Now how could anyone not like a little, yellow bird like that? Three themes that are reflected in "the TRUTH is on the WALLS." Photography by Alex Lawrence, representing present day activities in District Six. communities of friends, etc. Feel free to write under any section of your choosing. I don't know how the Blog is going to shake out, but the only way to discover the outcome is to begin. For me, the TRUTH is on the WALLS is wrapped around, at minimum, three themes. The work is an easy to read nonfiction that won't put anyone to sleep with one strangling fact after another because it's people oriented. In fact, it's about archetypal women who refused to play victim roles, and has many layers. I will blog every Friday, beginning March 2, 2012. African-American community was torn apart and ultimately the neighborhood completely changed. 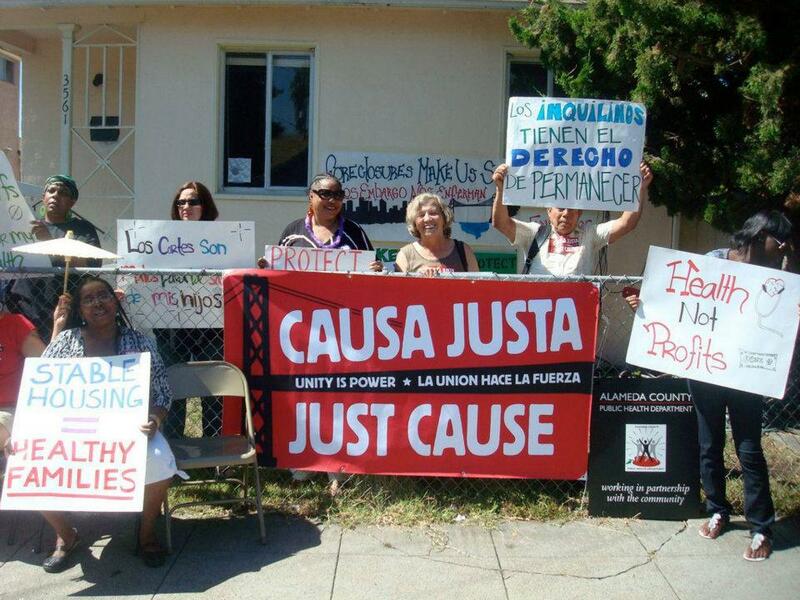 For more information on the West Oakland neighborhood, one may want to begin at: http://www.fhwa.dot.gov/environment/environmental_justice/case_studies/case5.cfm. The destruction of West Oakland reminded me of how people were ripped from their neighborhoods in San Francisco's Fillmore District to, seemingly, make way for an upscale neighborhood that many still cannot afford. The similarities I thought I recognized were that the neighborhoods were predominantly people of color; what I remember most about the Fillmore District as a young girl is that it gave us outrageous music and French foreign films with subtitles. I never lived in West Oakland because I grew up in Southern California but, over the years, friends described the kind of atmosphere in which they were raised there. 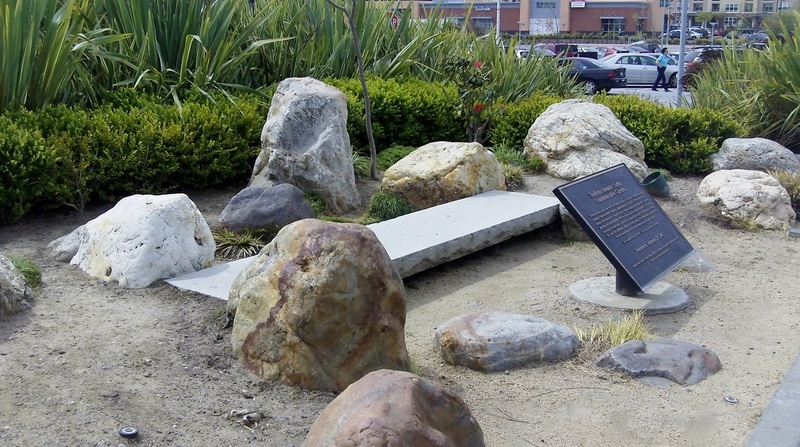 It reminded me of District Six and I discussed what happened to our East Bay community with Naz. for the District Six Museum -- an in-depth symbol and depository for heartfelt memories; its beauty is unsurpassed in every way. For me, the Museum also reflects the pain with which many have had to live. I hope we can learn from one another with this Blog, remembering that we are all interconnected. Will write again next Friday. 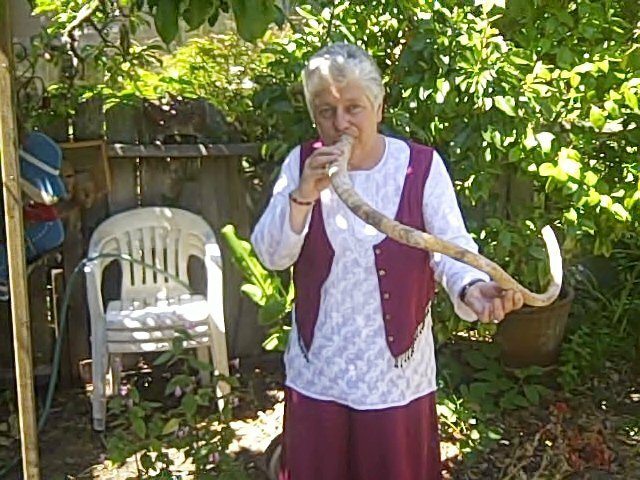 Healing ritual in Alameda, California, June 2010, with Elise Peeples and one of her didgeridoos. The didge she is playing in the photo was one she found on the beach, and the sound is beautiful. Elise is an author and founder of Sound Rivers. 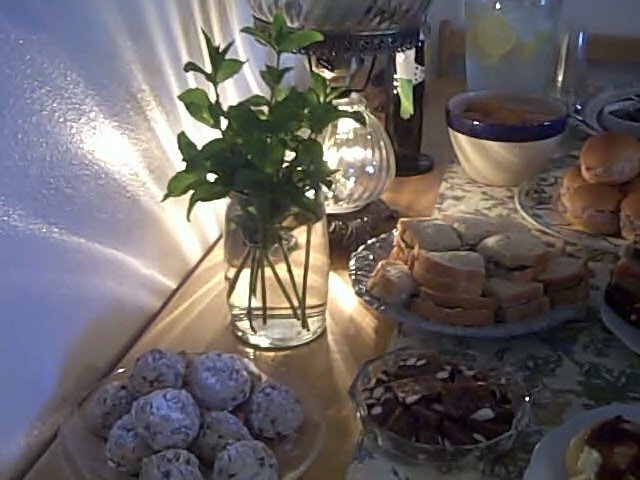 Teas and finger foods provided for the healing ritual. It was a lovely summer day. Elise is also the author of "Strands," a fiction about 70 year-old Emma who uncovers long-lost strands of her identity by confronting a childhood self she spent decades repressing. It is a magical and multi-layered story, principally set in Ireland's rugged beauty, that takes us on a journey of ancestors who come in on the wind and the rain with unexpected answers to questions that Emma never asked when younger. Front and back cover of the historical nonfiction. the TRUTH is on the WALLS. 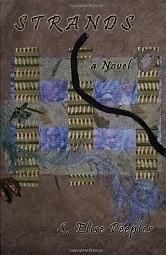 Back cover of the book. 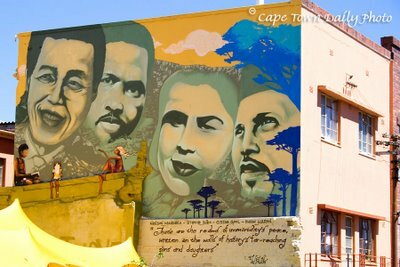 Pictured above, Co-Authors stand on empty ground of District Six in Cape Town, South Africa while on the August 2011 book tour for "the TRUTH is on the WALLS," a nonfiction published by New Africa Books. Shown below is the heart of Cape Town 23 yeaars ago. There were a few more dwellings in 2011, but not many. October 1988 -- District Six. People once said the area was a monument to greed. We ask for the land and people to be healed. 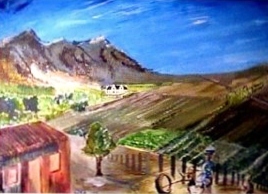 The tablecloth covers the iconic Table Mountain.